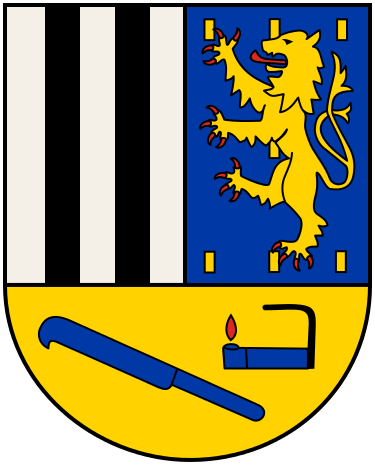 The Siegerland was twinned with the then Finchley Borough Council in 1951 when 20 young people left Finchley to visit Siegen. The links at that time were mainly educational with student exchanges taking place. Later Finchley joined with other areas to form the London Borough of Barnet and similarly, in 1971, the Siegerland joined with Wittgenstein to form Siegen Wittgenstein. The district is situated along the River Sieg, about 70 miles north of Frankfurt and 70 miles east of Cologne and comprises eleven areas as shown. 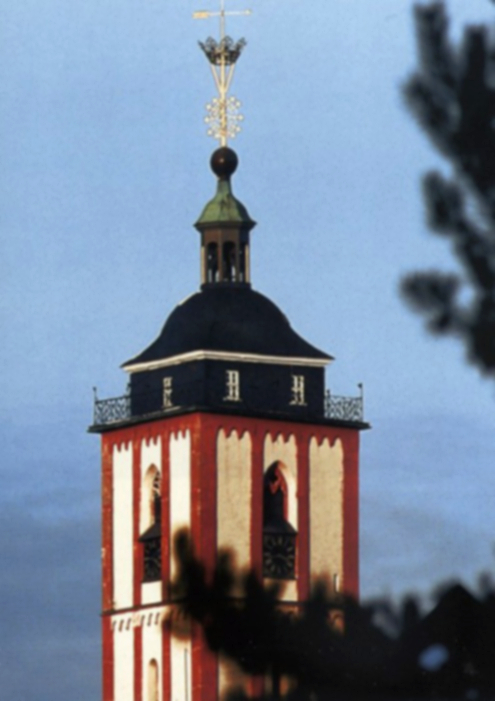 It is at the southernmost part of North Rhine Westphalia. The countryside is hilly and very beautiful with large areas of woodland. In fact, it is the most densely wooded part of Germany. There are several very attractive towns and villages, including a number of spa towns. For example, the town of Freudenberg is famous for its half-timbered houses and no self-respecting guidebook to Germany is complete without a photograph of them! Siegen has grown from its founding in 1224 AD to become an important city today. Its landmark is a golden coronet which can be seen for miles around. Found on top of the tower of the Nikolai Church in the old part of Siegen, this wrought iron coronet is gold-plated and represents a prince’s crown. For centuries Siegen was the seat of the Counts and Princes of Nassau. To this very day it is a member of the house of Orange-Nassau which rules the Kingdom of the Netherlands. One of its members was King William III of England. Siegen is noted for having two Castles. The Upper Castle was built around 1200 AD. It now contains the Siegerland Museum of Art and Regional History. In 1577 the town was the birthplace of the painter Peter Paul Rubens and there are nine of his paintings in the museum. On a more recent note, in 2000 there was an exhibition of the paintings of Sir Paul McCartney in the castle. The Lower Castle was built between 1695 and 1720. It now houses some faculties of the University of Siegen. Siegen has an attractive old town and a very vibrant market on Saturdays. The area is famous for its 2500 year old iron industry, which, although mining ceased in the 1960s, continues in the form of steel processing and the production of machine tools. Other ancient industries include slate mining which also recently ceased. However, one mine is open as a museum. The coat of arms shows features relating to the history and old industries of the area. It can be explained as follows: On the right the upper sections show the arms of the Dukes of Nassau who founded Siegen and on the left those of the Counts of Wittgenstein. In the lower section there is a coppicing hook and a miner’s lamp illustrating the traditional industries of the area. Nowadays, agriculture and, in particular, forestry remain of great importance. Tourism is increasingly important, capitalising on the magnificent scenery. Siegen Wittgenstein is a very popular holiday area for camping, cycling and hiking and winter sports are also popular. The medieval towns with their half-timbered houses are very attractive too. 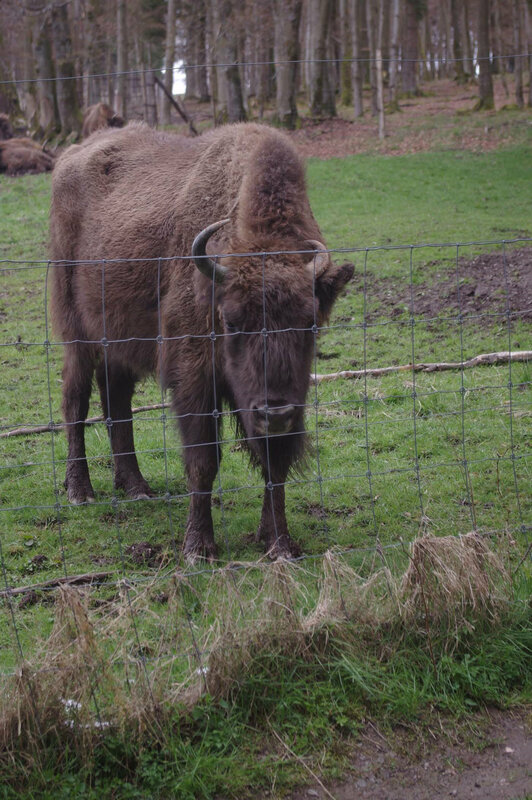 A large part of the district is made up of a national park called Rothaarsteig which is home to deer, fox, wild boar and, rather more surprisingly, the recently reintroduced European Bison, which previously had become restricted within Europe to parts of Poland only.